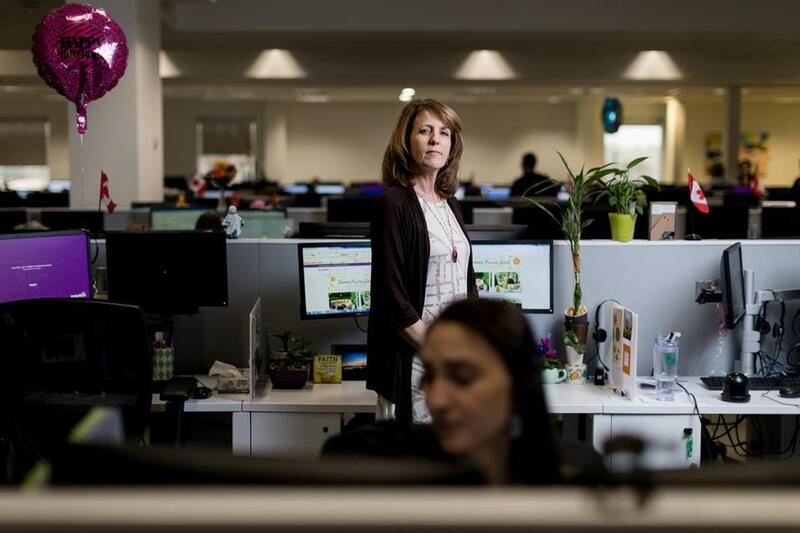 The Wayfair call center in Bangor, Maine, a state where the company has a physical presence. Wayfair didn’t seek the national spotlight. But that’s where the online home-goods retailer ended up, thanks to a legal battle that heads to the US Supreme Court Tuesday. The high court is scheduled to discuss a tax dispute pitting the state of South Dakota against Wayfair and codefendants Overstock.com and Newegg. The case is relevant nationwide because the court is weighing whether online sellers can be required by states to collect sales taxes on purchases by their residents. The court is finally revisiting its Quill decision, a 1992 ruling from the era of printed catalogs that requires retailers to collect sales taxes only in states where they have a physical presence. At issue: a South Dakota law that essentially changes the physical presence threshold to a company’s economic presence. State officials need the Supreme Court’s backing for that law to stick. Boston-based Wayfair had kept quiet about the case, but finally issued a statement over the weekend. The company says it prefers a federal solution in Congress that would level the playing field between brick-and-mortar and online sellers (presumably one that avoids a state-by-state patchwork approach). Wayfair said it already collects taxes on 80 percent of its sales, a figure that will grow as it expands its warehouse network. Brick-and-mortar retailers have long hoped for the issue to be taken up in Washington, but Congress has shown little interest.